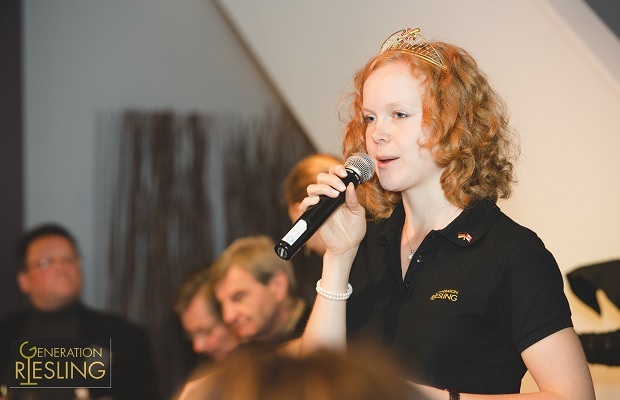 Nadine Poss from Windesheim in the Nahe region was elected 65th German Wine Queen back in September, 2013. That is a much bigger deal than you might think. Being chosen for the distinction is like winning the Miss America pageant and winemaker of the year at the same time, wrapped into one title. Ms. Poss travels the world to promote German wine. She represents 20,000 German wine growers nationally and internationally. With the queen in tow, the marketing and appeal is clear. Bring on the young people, teach them to drink dry (trocken, halbtrocken, classic or selection) wine. They will concentrate on what they like and they are not afraid to try new things. The new German wine label no longer feels the need to inform the consumer of every aspect contained within the wine’s birth certificate. While the wine name’s estate, the grape variety and the vintage are all likely to be there, arbitrary listings like style, quality level, the region, the town, grower or cooperative indication and quality control numbers may become label distinctions of the past. 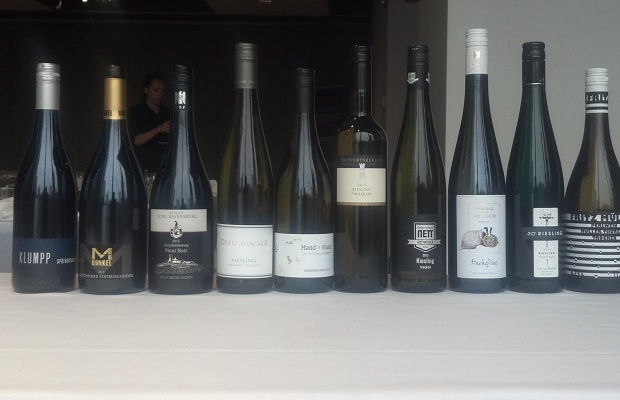 According to Predhomme, Generation Riesling is about highlighting the dry wines coming to market. “The important thing is that people are having the conversation.” It had been difficult to sell German wines, but this has changed, in the appeal to and with thanks to the aforementioned millennials. Riesling also pairs with hard to figure foods. 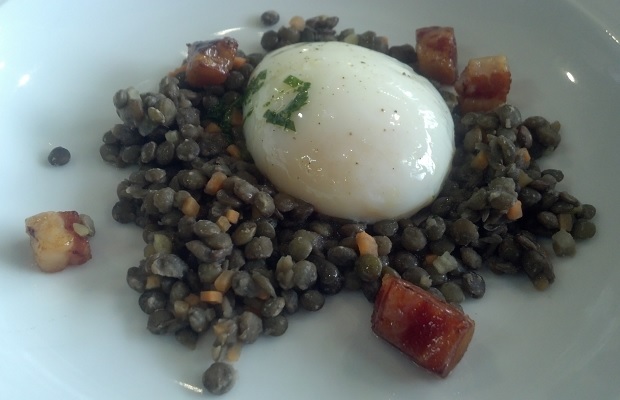 “For egg yolks, turn to Riesling,” insists Predhomme. He means it. The 10 wines poured were anything but household names with each sample drier than the next. 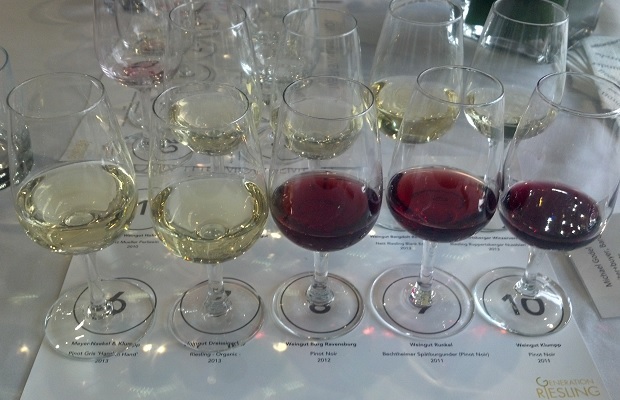 Not a single wine presented at the lunch seminar are available in VINTAGES or at the LCBO. These are wines that any progressive wine retailer must make available on their shelves. The choice of introducing new and under the radar producers to the Ontario market is brilliant as far as I am concerned. Now let’s see the style and vanguard approach gain market share. That ambiguity remains to achieve fruition and to be seen. Dry to be sure though the aridity is not furthered by the breakdown of elemental particles and the peach intent never drifts into off-dry territory. Though this lacks the acidity necessary for lift there’s a clean slate and atomically, soil-driven bent. Later on there’s a note of Muscat-like grapey reduction. Simple and effective. From a winery just south of Frankfurt blessed with a Mediterranean climate. Here this Riesling helped along with a cure of 20 per cent barrel ferment, “goes deep, it goes deeper still,” in golden, sun spot, citrus activity. Comes to it early, waxy, polishing, in a Semillon-like, dry, tight, mouth-watering well of deprivation. It’s not petrol but gas-driven. Something unnamed gives it air, this helium voiced, weightless, gravity defying Riesling. Could certainly drink this on a night like this, or any other. This has a stable periodic table of balance and concrete interference of the stellar kind. Layered and textural must in grape spirits moving through black forests. Tight and imbued of great tang. More intensity from Pfalz. Lime finish. Great match to the soubise. This entry was posted in Germany, Pfalz, Rheingau, Rheinhessen, Sparkling Wine, Wines Tasted and tagged Alcoholic Beverage Manufacturing, Arcadian Loft, Beverage Manufacturing, Beverages, Bruce Cockburn, Burg Ravensburg, Culture and Lifestyle, Drinks and Beverages, Food and Beverage Sector, Food and Cooking, Food and Wine, G.H. von Mumm'sches Weingut, Generation Riesling, Grauburgunder, Meyer-Näkel & Klumpp, Michael Godel, Nadine Poss, O & B Events, Perlwein, Pinot Gris, Pinot Noir, Red Wine, Riesling, Ruppertberger Winzerverein, Spätburgunder, Tasting Notes, The Cure, The Dandy Warhols, The Who, Vineyards and Winemakers, Weingut Bergdolt Reif & Nett, Weingut Dreissigacker, Weingut Klumpp, Weingut Prinz von Hessen, Weingut Runkel, Weingut Willems & Hofmann/Fritz Mueller, White Wine, Will Predhomme, Wine, Winemaking.